Anyone suffering from reduced mobility, whether temporary or permanent, can find the normally simple task of having a bath quite difficult. 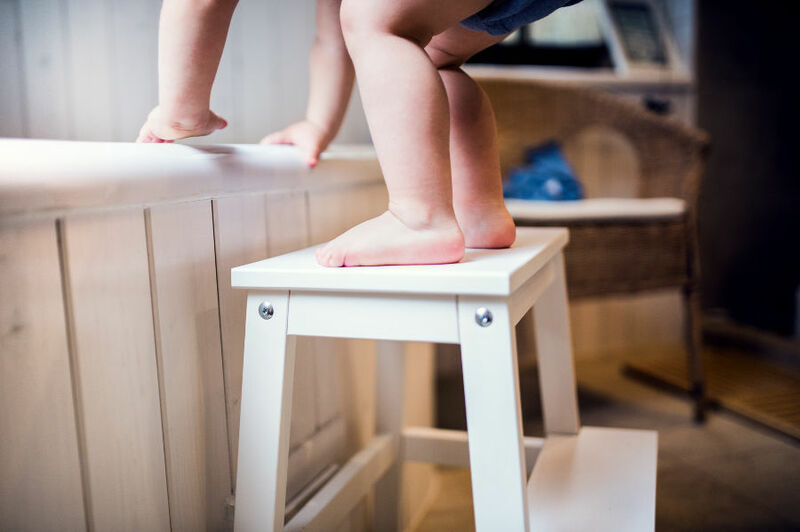 Here we look at some of the specific problems that can be experienced, alongside a range of solutions that will make using the bathtub safe and easy. Anyone experiencing these difficulties will find the bathroom experience awkward and at worse unsafe. In both instances, many people look for ways to work around the problems by adapting how they use the bath. Typically this is done by looking for extra balance or support by using existing bathroom fixtures as hand holds. The trouble with this is that sinks, towel rails, shelves or radiators are not made for weight bearing and can give way at critical moments. Some people even adapt the way they enter and exit a bath, typically getting out of the bath by turning onto their front, getting up on their knees and climbing over the bath edge. Again, this can be unsafe and people getting into the habit of using a bathroom like this are developing bad habits that can result in accidents and injury. When things begin to reach this stage it is time to adapt the bathroom rather than adapt how you use it. For someone who is still fairly mobile and likes to have a long soak in the tub, a walk-in bath is the ideal solution. These baths come with a door to allow easy access by reducing the threshold to around 8-9 inches. This makes stepping in and out of the bath much easier. Where mobility is such that someone will find this step too difficult to manage, a walk in shower with a much lower step or even level access will be much easier to use. 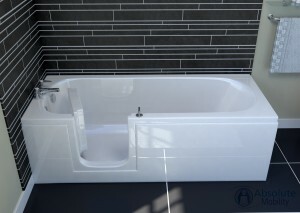 Walk in baths can come in a full length version and look much the same as a standard full length bath, like the Avrail. If someone regularly experiences problems with getting up and down in the tub, some of these walk in baths come with power lift seats to provide assistance. Another option to consider is a short length walk-in bath, with a seat inside, like The Classic. 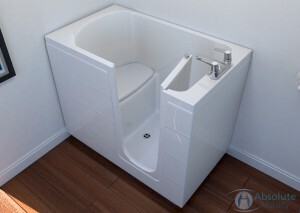 Having the seat makes it easier to get up and down in the bath as the bather does not have to sit down on the floor. Instead they sit down on a seat, the effect being very similar to sitting on a chair. So if someone still finds using a chair easy, then this is a good solution for them. If choosing to go with an easy access shower, a shower chair can be added either fixed to the wall or free standing. Again this is suitable for someone who is able to use a chair unassisted. For anyone who finds sitting up and down difficult, a shower or wet room can be used with a shower proof wheelchair or Zimmer frame and is better suited to carer assisted bathroom use. If you are having trouble using a bath tub and would like to explore your options, please feel free to get in touch with Absolute Mobility on 0800 2922 110. We offer a free home assessment and quotation service to carefully design a bathroom around your needs.